It’s a daily routine for pediatricians: Promise a lollipop or sticker to a 4-year-old child in return for giving them a shot. Then, watch as they melt down and their parents chase them around the clinic. Even if the child doesn’t want it, the aforementioned scenario is not usually one that stops parents from vaccinating their children. Yet, a persistent group of moms and dads won’t let their children get the shots. A CDC report shows a rise in unvaccinated children. It found that in 2017, roughly 1.3 percent of children between 19 and 35 months old hadn’t received any vaccinations — an increase from 0.3 percent in 2001. Similarly, the number of kindergartners with an exemption from school vaccination requirements rose for the third consecutive year to a median of 2.2 percent, the CDC found. 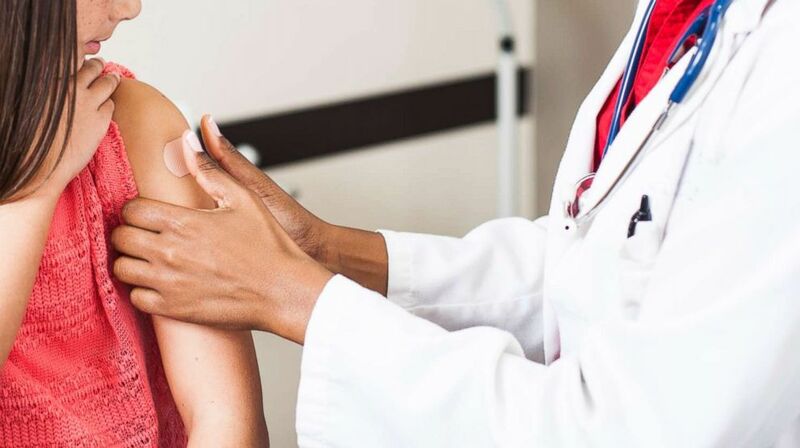 “Some families think that vaccinations are harmful to children, and natural immunity — getting the disease and then mounting an [immune] response — is better than vaccine immunity,” Dr. Eve Farber, residency director in the Department of Family Medicine at SUNY Downstate Medical Center, told ABC News. But this isn’t true, either. And with vaccines estimated to prevent over 21 million hospitalizations and 732,000 deaths among children born in the last 20 years, it’s worth pointing out the myths of childhood vaccines. A doctor applies a bandaid after giving a shot in an undated photo. Myth: Vaccines do not really work. They definitely work. Vaccines help develop immunity (protection) by imitating an infection. They do this by introducing a dead or weakened version of the virus or bacteria into the body (more on this next). This type of infection almost never causes the actual illness; it only triggers the immune system to produce antibodies, which may lead to minor symptoms like fever. The body needs a few weeks to make these antibodies, so vaccines aren’t typically effective as soon as the shots are given. Myth: All vaccines contain the “live” or active form of the pathogen. Live attenuated: These have a weakened version of the virus or bacteria — enough that it won’t cause serious illness. But not everyone can receive these, especially people who have a weakened immune system. Inactivated: This type of vaccine is made by killing the pathogen during the process of making the vaccine. It cannot cause infection. Toxoid: These vaccines prevent diseases caused by bacteria that produce toxins (poisons) in the body. It does not put those bacteria inside the body. Subunit: These vaccines include only parts of the virus or bacteria — “subunits” — instead of the entire germ. Conjugate: These vaccines connect the outer coating of the bacteria to another unrelated portion of the bacteria. The goal of this vaccine is to promote antibody production in the body without allowing the bacteria to reproduce. Myth: My child is healthy and does not need to get vaccines. 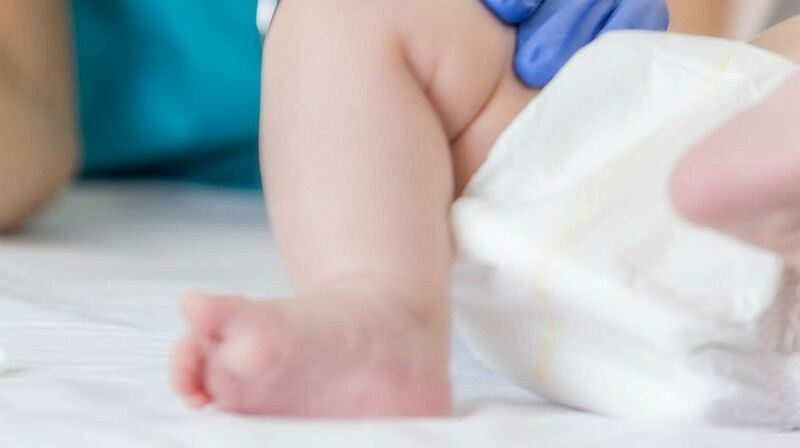 Before vaccines were available, many children died from the 14 diseases that we can now prevent, according to the Academy of Family Physicians. Diseases like chickenpox, whooping cough, the flu, measles and meningitis are dangerous life-threatening and they haven’t been eradicated from this world yet, so children who haven’t been vaccinated are susceptible. Myth: Vaccines are not safe. Vaccines are not only effective, they are safe too. Your child may have side effects from them, such as mild soreness, redness where the shot was given and slight fever, but the benefits far outweigh these effects. A baby receives an immunization from a nurse in an undated stock photo. Most people who get vaccines won’t experience side effects from them. On the rare occasion that there are side effects, they tend to be mild, like feeling soreness in the area where the shot was given. Some health conditions might develop after a vaccine is given, but be completely unrelated to the vaccine, only developing afterward as a coincidence. On even rarer occasions — about 1.3 out of every million — vaccines might cause allergic reactions for a variety of reasons. The National Vaccine Injury Compensation Program was designed to deal with these rare cases and can provide financial support to those affected. Autism happens just as often in children who get vaccinated as it does in those who don’t, according to the AFP. Parents often think vaccines cause autism because symptoms of autism begin to appear at the same age that children are supposed to get the measles, mumps and rubella (MMR) vaccine. One study from 1998 suggested a connection between the two, but that study was retracted due to flawed methodology. Repeated studies thereafter have found no link between vaccines and autism. Myth: Vaccines contain mercury, which can be harmful. Mercury is naturally found in the air, soil and water. Thimerosal is a mercury-based preservative that has been used in vaccines to prevent the growth of bacteria and improve shelf life. Thimerosal has been shown to be safe in vaccines and our body eliminates it easily. All vaccines for children age 6 and under are available in formulations without thimerosal, and there are vaccines that are thimerosal-free for adolescents and adults, too. Myth: You only need one dose of a vaccine. For some vaccines, the first dose isn’t enough to provide full immunity from the pathogen(s) it is targeting — some vaccines may wear off after a few years. When this is the case, children will need “booster” shots. If you’re unsure about whether the shot your child is getting needs a booster, ask their doctor. Delaying shots just increases the time in which a child can contract a disease. And in cases where a booster is needed, waiting only opens up the window for a potential infection as the initial shot wears off. Since a child’s immune system is still developing, getting vaccinated on time, based on the CDC’s recommended schedule, will help it to be the strongest it can be. If you have additional questions about vaccines, please consult with your doctor or visit the CDC's vaccine safety page. Dr. Tambetta Ojong is a family medicine resident at SUNY Downstate Medical Center and a member of the ABC News Medical Unit. Amrit K. Kamboj, MD, is an internal medicine resident and member of the ABC News Medical Unit. This article was updated on 2/28/19.